A couple weeks ago, Sean installed our new front door. It needed to be painted, and the hardware needed to be changed. Sean painted six different color swatches for me to look at. 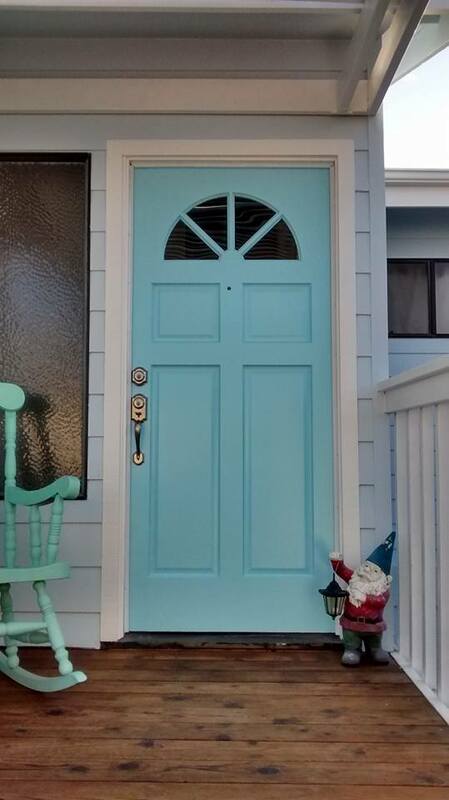 I agonized over which was the right color for our front door, but I finally settled on one. This was the old door. 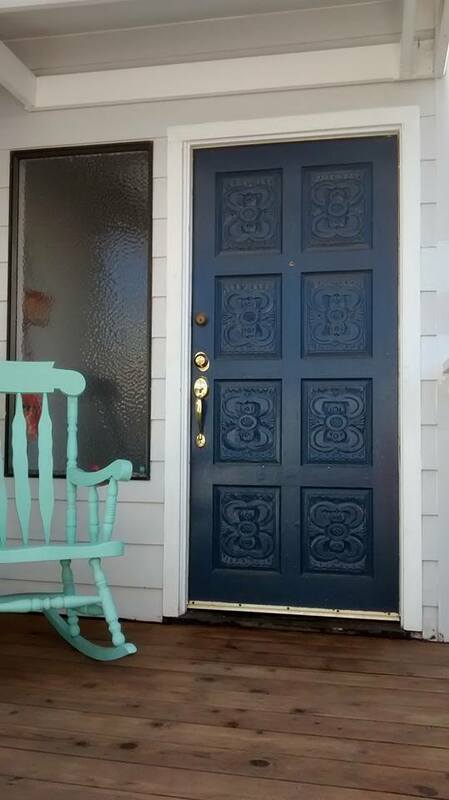 The painter finished painting our house including the back deck and the front door two days ago. We’d put off buying a door handle and lock for the new door until today, when the particular finish and style that I wanted was back in stock. This afternoon Sean installed the hardware, and now the front entrance to our home is complete. This is the first time in our lives that we’ve lived in our own house, not a rental, and one that we’ve customized to our personal taste. We’re pretty pleased with how it turned out. Categories: Adventures with Sean | Tags: home improvement, Morro Bay, Sean | Permalink.